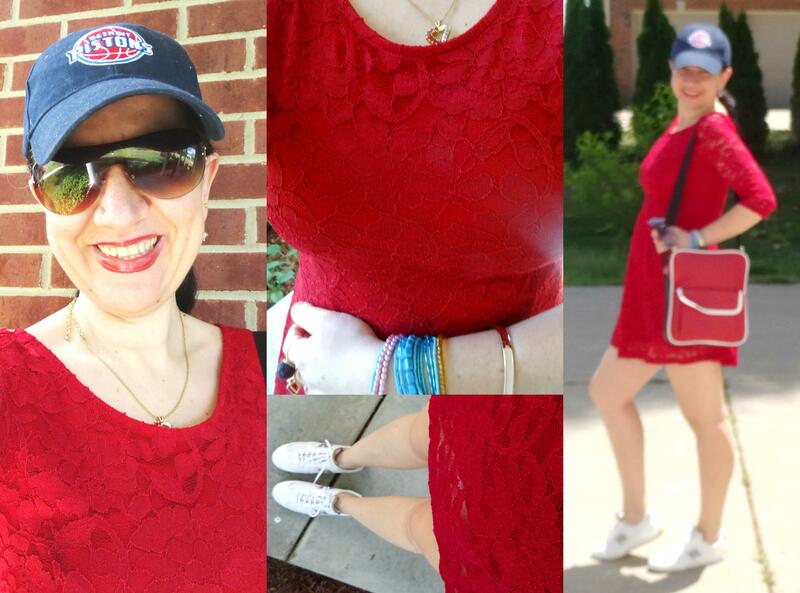 Red Lace Dress - Athleisure Chic. Good first weekend of June everyone! I cannot believe the first 5 days of June are through already. 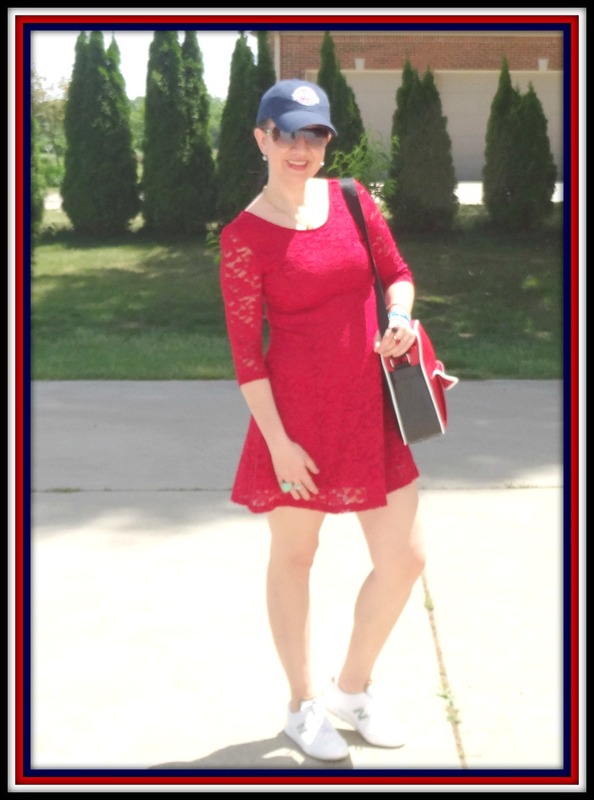 I am sure you remember, in the beginning of last month, in one of my Special May Birthdayposts, I showed you this Red Fit+Flare Mini Dress dressed up in a fun, sassy monochromatic way with my Red Fringe, Stiletto Sandals. 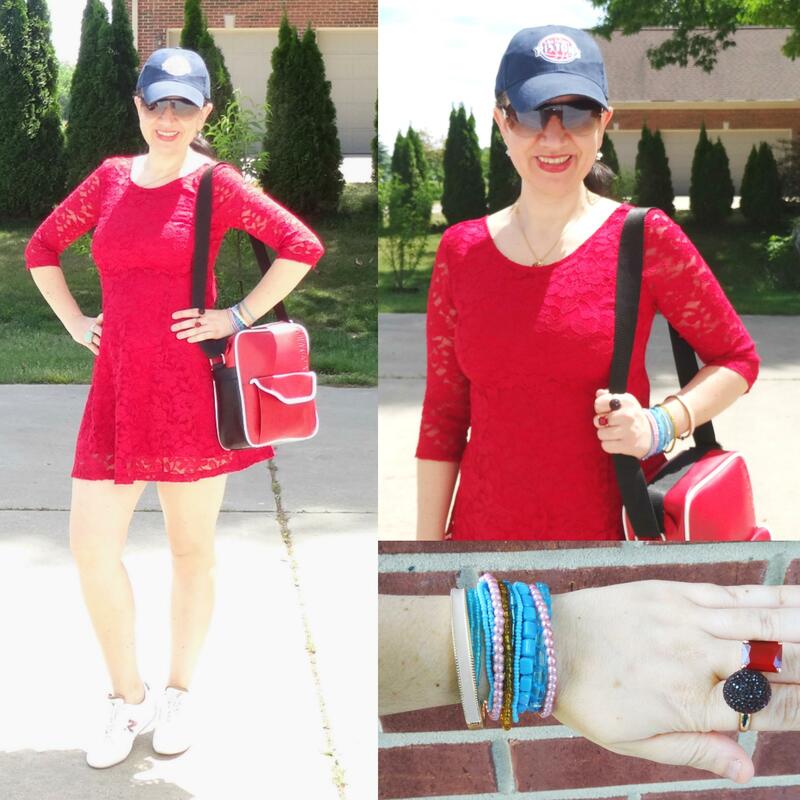 Continuing with week one of a month of Dresses (this week is all about lace, crochet and eyelet) I am re-styling this dress in a sporty way, perfect for a game day such as Baseball or Basketball, complete with delicious hot dogs and cold beer. 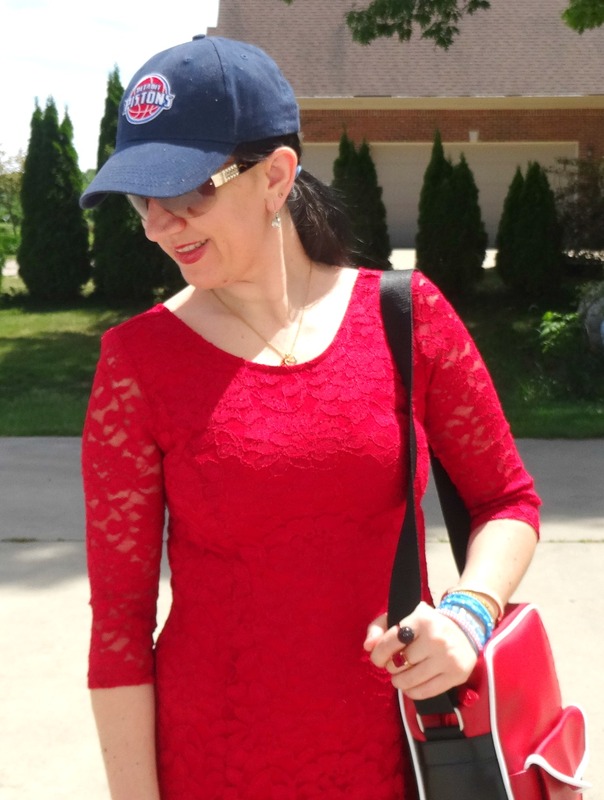 I am even wearing my team's (Pistons) Hat. Do you guys watch/like basketball? What team do you root for? I styled my Dress with some White+Gold New Balance Sneakers. 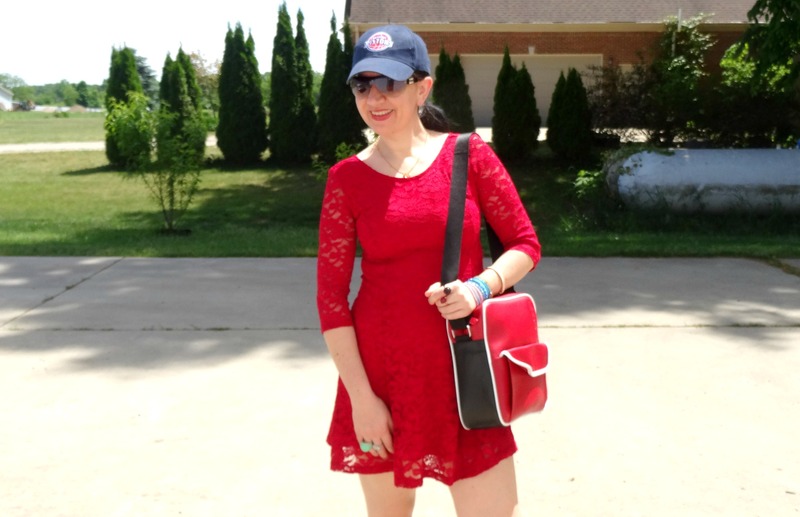 I carried a Sporty Crossbody Bag which is colorblocked in Black+Red with white piping. The bag was big enough for me to fit a couple of snacks and a large bottle of water, plus my cell-phone, wallet, a makeup pouch and a few extra things like gum and keys. It was the perfect purse for a morning/early afternoon day down-town Detroit where we did a lot of walking. Now, this dress is totally on the dressy side but the white sneakers looked so cute with it, to dress it down. I know the dress is short and plus it is fit+flare. To keep it modest and not flash anyone I am wearing the Microfiber Boy Shorts (in "Vanishing Edge") by Soma. I have these in 3 colors and plan on adding more now that Soma is having their semi-annual sale, too. And no, Soma is not paying me to write this post. If you have never been in a Soma store, please go. You will find the perfect undergarments for all kinds of outfits and occasions. 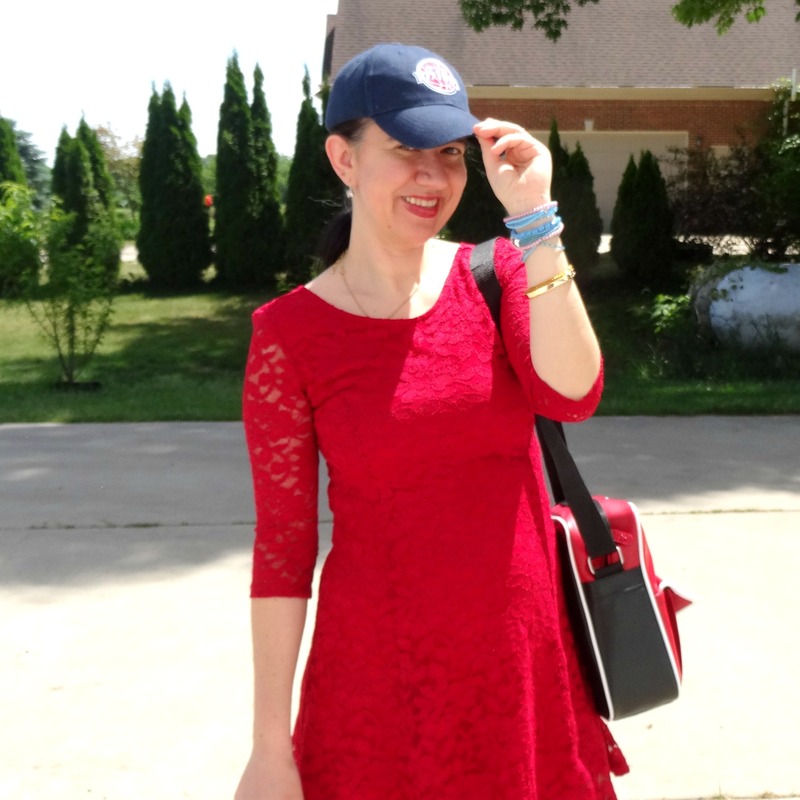 My Basketball Pistons Hat is Navy which paired with the Red and White keeps the outfit clean while also Americana. 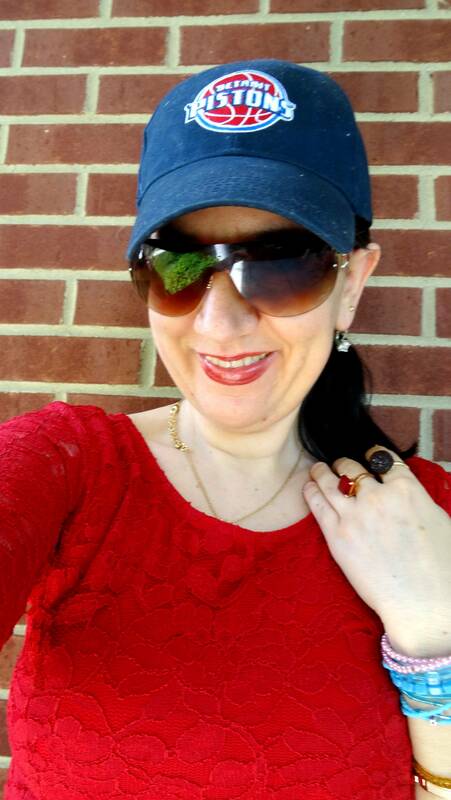 I have on my Gold Ruby Stone Necklace and some simple Cubic Zirconia Silver Earrings. 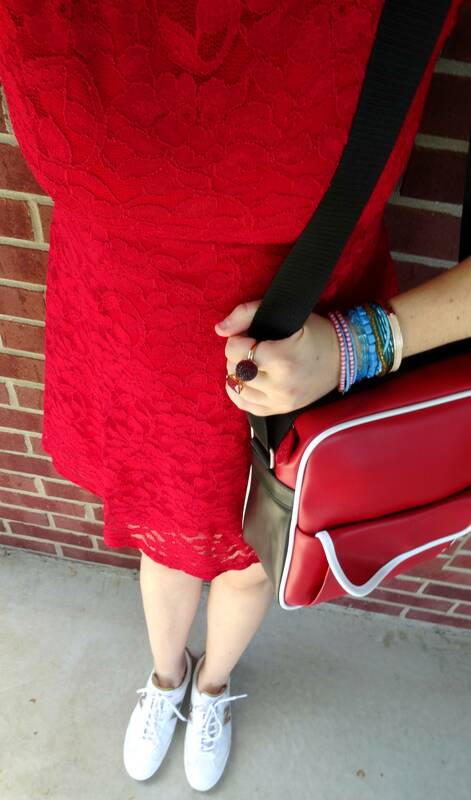 I decided to do an arm party with a few Beaded Bracelets and some Fun Rings, though. Athleisure style is the biggest thing to come to fashion in 2016 and I think the way I styled this outfit, I follow right into the athleisure trend. 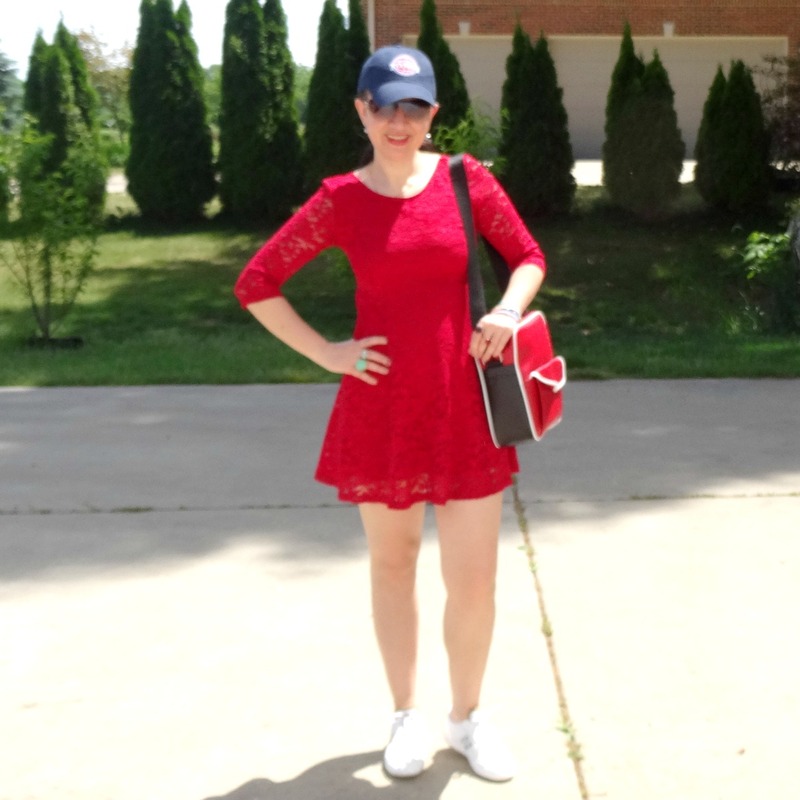 Do you think this dress looks cute with the White Sneakers? Would you wear it like this? 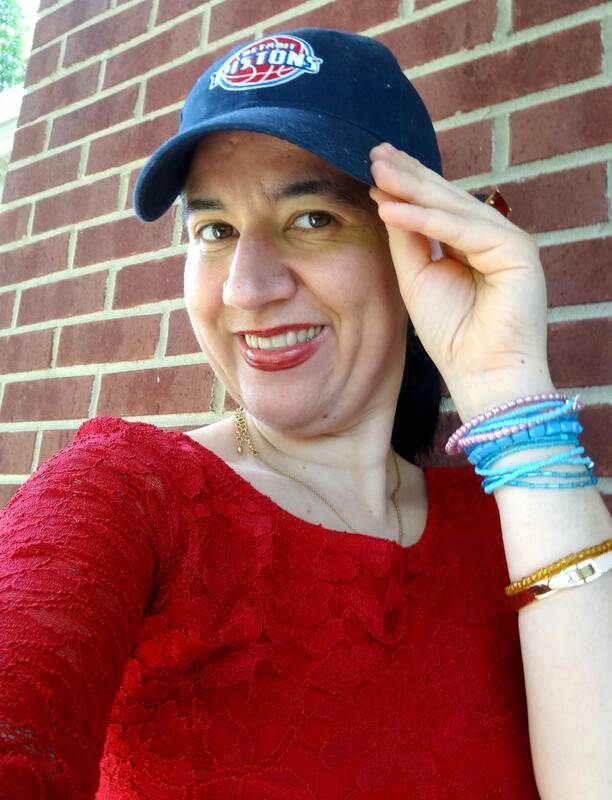 Navy Blue Pistons (Baseball) Hat: Pistons by Adidas (similar, Steal), (similar in bright blue, Great Deal), (similar, small Splurge). 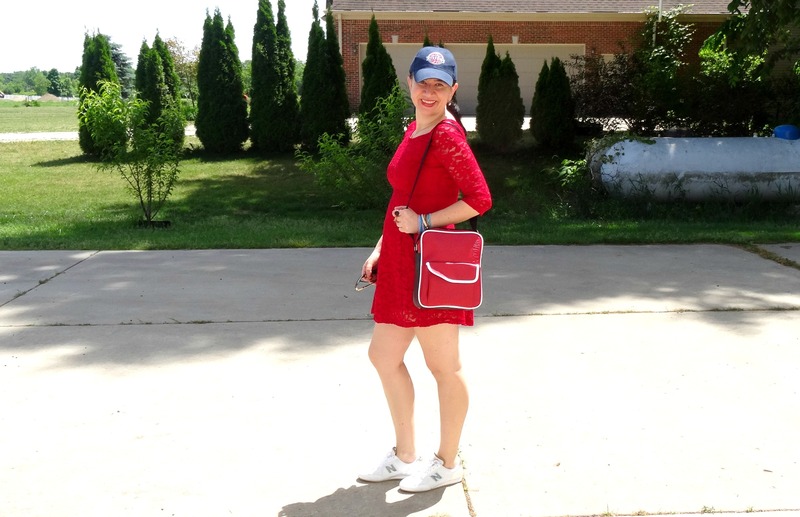 Rectangle Red+Black, Sporty Faux Leather Bag: Old Navy (similar, Steal), (similar, Great Deal, love this), (similar, Splurge, love this). 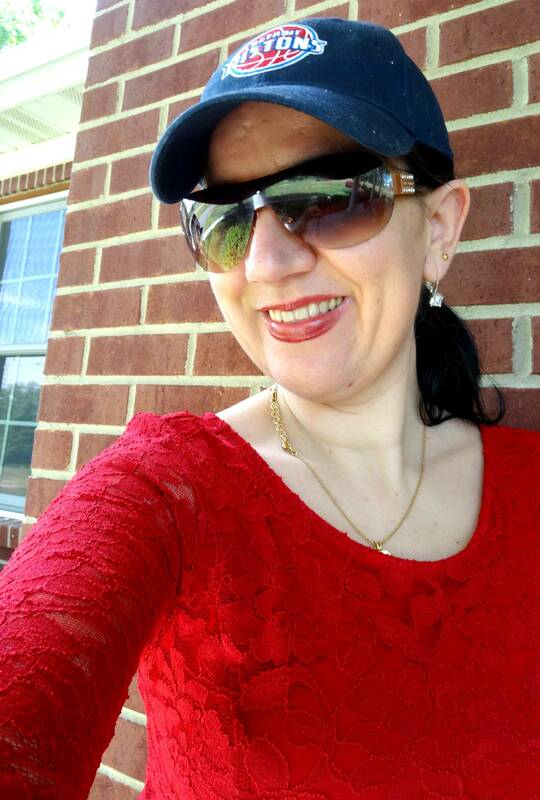 Brown Ombre Frameless Sunglasses: Express (similar, Steal, love these), (similar, Great Deal), (similar, Splurge). Silver Drop Earrings w/ Square Cubic Zirconia Mini Stones: A Local Store (very similar), (similar, Steal), (similar, Great Deal, love these), (similar, small Splurge). 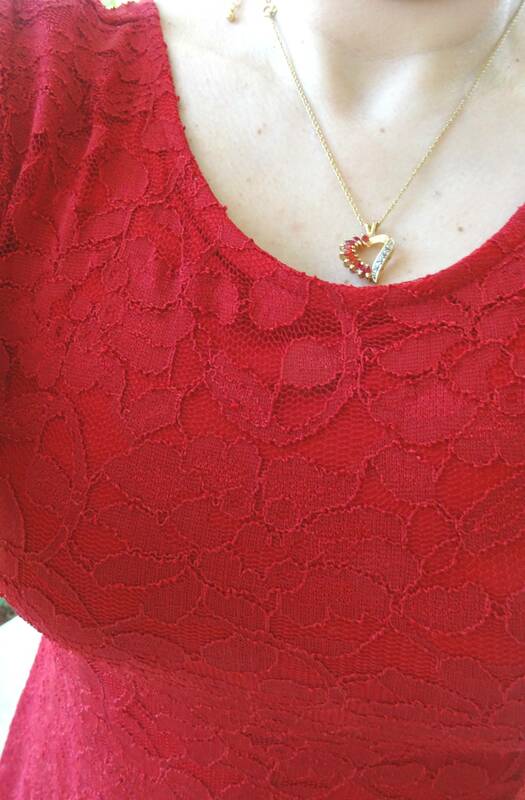 Real Gold Dainty Necklace w/ Asymmetric Ruby+Diamond Heart Pendant: Gifted (Fine Jewelry Store) (similar, Steal, love this), (similar, Great Deal), (similar, on Sale). White, Perforated Leather Sneakers w/ Gold Logo & Gold trim: New Balance (New) (similar in "serenity", Steal, love these), (similar in white+silver, Great Deal), (similar, Splurge). 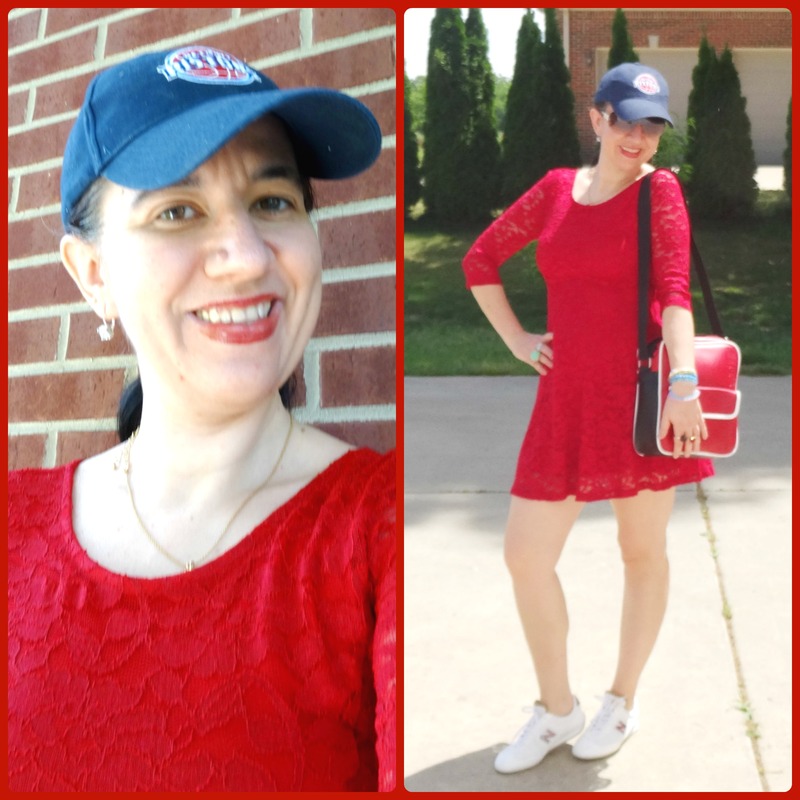 Back in the Fall of last year during a 6 Remix post, I styled another Dress in a sporty way for a Sports' Day/Athleisure Chic Look featuring another Pistons hat, the same Crossbody Bag and some Navy Denim Sneakers.